Case Mini Menu Size Laminating Pouches 11-1/4"x17-1/4" - 10 Boxes! Roll@Blade is a low cost precision rotary trimmer by Akiles. 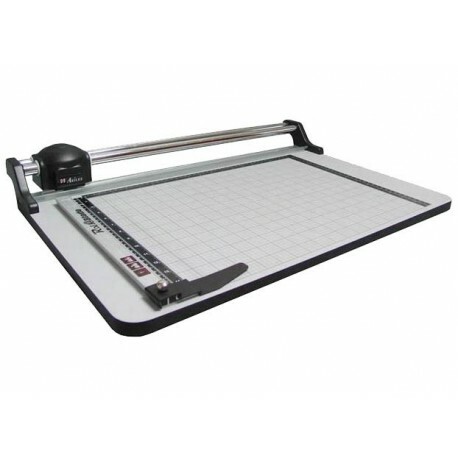 It has all the features you need with in a professional paper trimmer. * Self-Sharpening Tungsten Blade is constructed of die-casting alloy for durability and a sharp cut every time. * Twin Sliding Poles guide the blade with extreme stability, for an accurate cut. * Transparent Clamping Bar works in conjunction with the blade carriage to firmly hold the trimming material in place, while allowing you to monitor the trimming process. 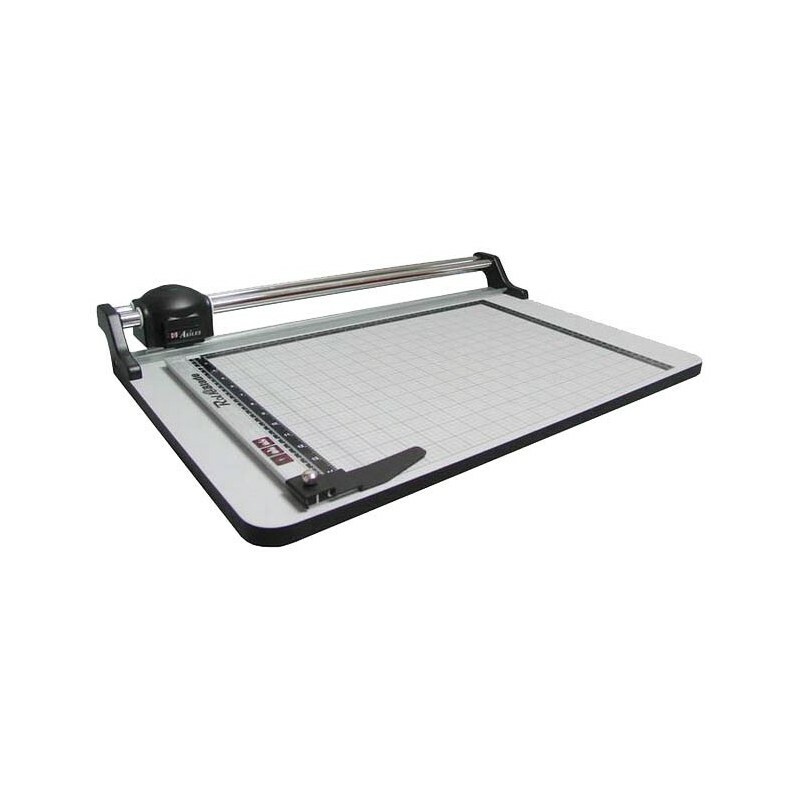 * Extra Wide Work Table with English/Metric Ruler & Special Grid Ruler Guide for an easy alignment while satisfying all of your converting needs. * Trims a Wide Variety of Materials Including Paper, newsprint, cardboard, plastic films, vellum, aluminum foil, vinyl, PVC, polyester, polypropylene, polyethelene, leather, veneer, etc.